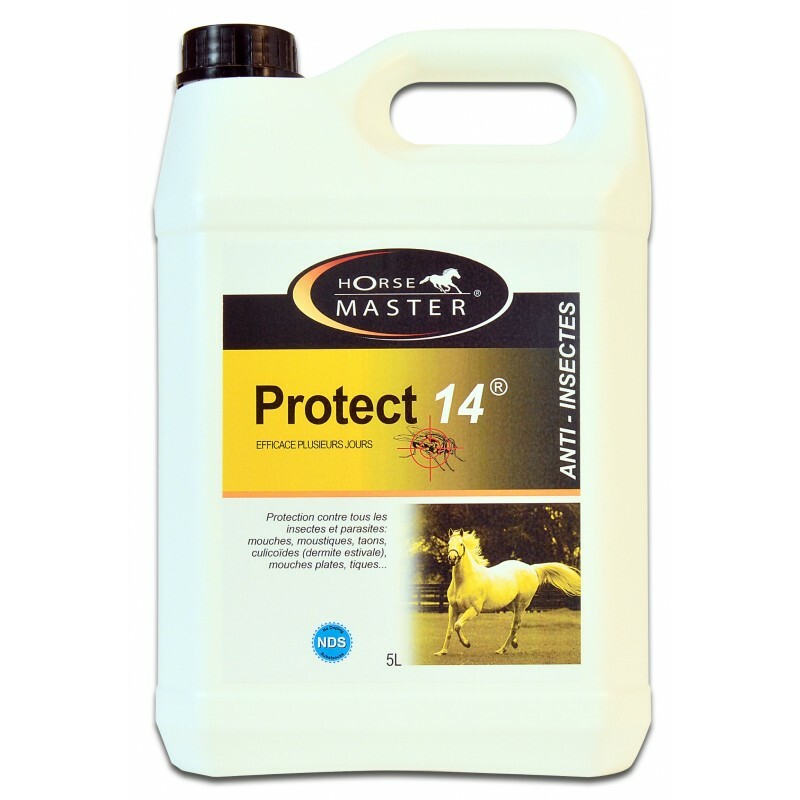 PROTECT 14® is a fly repellent for tranquility of both horse and rider. 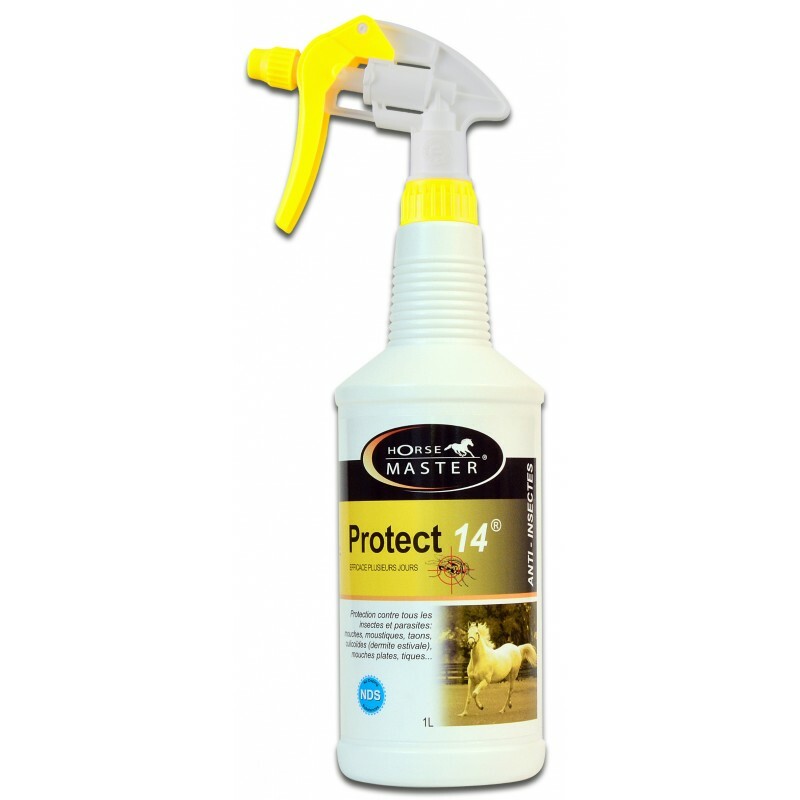 PROTECT 14® repels and kills Horse Flies, Stable Flies, Face Flies, Horn Flies, Culicoïds, Deer Flies, Gnats, Mosquitoes, Lice, Ticks, and Deer Ticks. PROTECT 14® is a ready to use formula, effective fly spray against external parasites affecting horses. 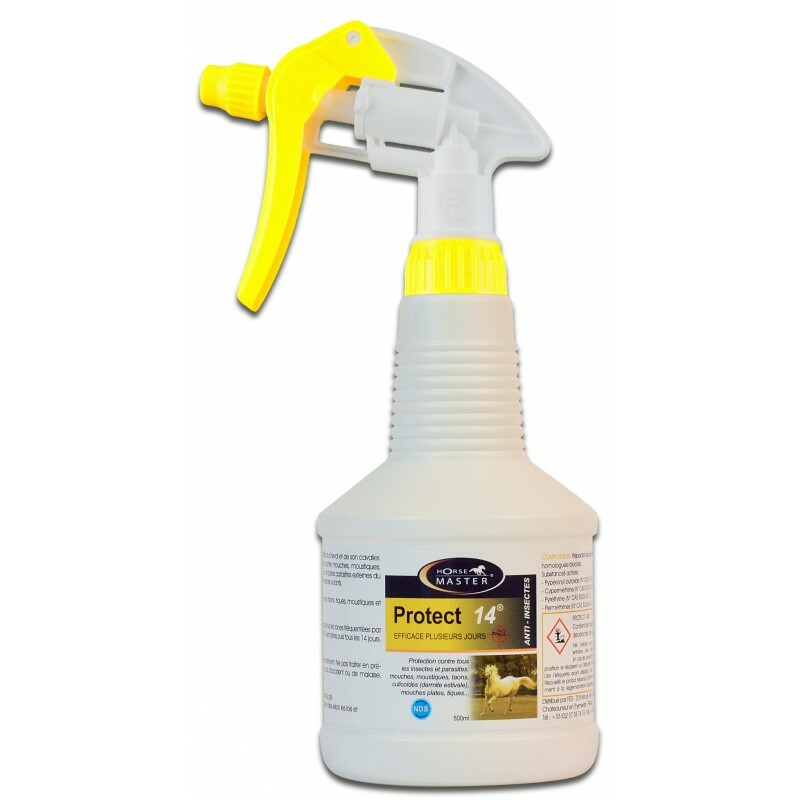 Original Formula for long lasting protection against all flies. Apply PROTECT 14® with spray on the area to be treated. Reapply every 5 to 7 days under normal conditions for initial applications. Reapply every 10 to 14 days as needed.